Many organizations are using the 50th anniversary of Detroit’s tumultuous summer of 1967 as an opportunity to educate the community about this important part of our history, from the showing of 1967 Home Movies at the Detroit Institute of Arts and the debut of 12th and Clairmount at the Detroit Free Press’ film festival in late March and early April to Youth Day of Vision events and First Friday Forums at places like the Detroit Historical Museum. Here are just a few of the events planned between now and the end of the year. This exhibit is a joint effort of the Detroit 67 project and the WSU Walter P. Reuther Library of Labor and Urban Affairs. It explores the history of Detroit’s 1967 civil unrest through use of the library’s primary sources. It covers the 1940s to the 1970s and teaches visitors how evidence is gathered and interpreted. This joint exhibition with the Detroit Artists Market offers a wide range of voices and perspectives from more than 20 artists. Presented by the Detroit Equity Action Lab, there’s an opening event/panel discussion for a two-month, neighborhood-focused engagement examining the 2017 local elections. It concludes on Aug. 16. Presented by the Michigan Roundtable for Diversity and Inclusion, forums about Detroit 1967 will run through July. Funded by the Ford Foundation, Digital Diaspora Family Reunion is an international multimedia production company. After the kickoff, storytelling and events will take place in each of Detroit’s seven city council districts. Presented by WGPR-TV Historical Society and the Detroit Chapter of the National Association of Black Journalists, this panel discussion will also focus on the Kerner Commission’s findings about why unrest erupted in Detroit and more than 150 other cities in 1967. Presented by Cathedral Church of St. Paul, this public roundtable brings together representatives from Christianity, Islam, and Judaism to discuss the role of religious institutions in addressing violence, inequality, and discrimination before, during, and after 1967. Celebrate the release of the new book Detroit 1967: Origins, Impacts, Legacies edited by Detroit Historical Society senior curator Joel Stone. Contributors will be on-hand to sign copies and give brief remarks. The Michigan Science Center is partnering with the Detroit Public Library System on a traveling exhibit that challenges young people to explore and create solutions to mobility challenges. They’ll also learn about Detroit’s historical transit system and the new QLine rail. Presented by The James and Grace Lee Boggs Center to Nurture Community Leadership, this discussion is in response to a Youth Day held on Feb. 18 that explored ways to end injustice, oppression, and violence. The Detroit Historical Museum’s major exhibition will examine 150 years of the city’s history (click here for more information). Black Scroll Network History & Tours and the Detroit Historical Society offer a special three-hour bus tour of significant sites related to the unrest in July 1967. The tour will address three essential questions: What happened? How did it happen? What has changed as a result? For tickets, call 313-833-1801. Presented by the Arab American National Museum, this annual festival presents musical acts from around the world. This year’s opening Forum on Community Culture and Race will take a deeper dive into 1967 and other events on a local and national level. Part of the Wright Museum’s 1967 programs running throughout the year, Say It Loud: Art, History, Rebellion, is an exhibition that commemorates the 1960s unrest, observes the 50th anniversary of the Detroit Rebellion, and compares the uprisings of the past to the upheavals that shocked our nation in the 21st century. Outside, part one surveys the Detroit Rebellion. Inside, part two features 40 national artists, whose works illustrate tragedy and transformation when people rebel. The Wright Museum will also present 67 programs throughout the year. 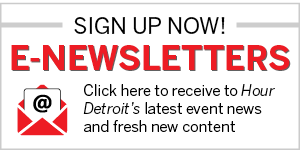 Presented by CultureSource and the Detroit Public Library, it’s a special social mixer for local professionals in the cultural community to build relationships and identify new connections. Presented by the DIA, Detroit Film Theatre, and the Detroit Free Press, it’s a collection of films that showcase the everyday lives of Detroiters in the 1960s. 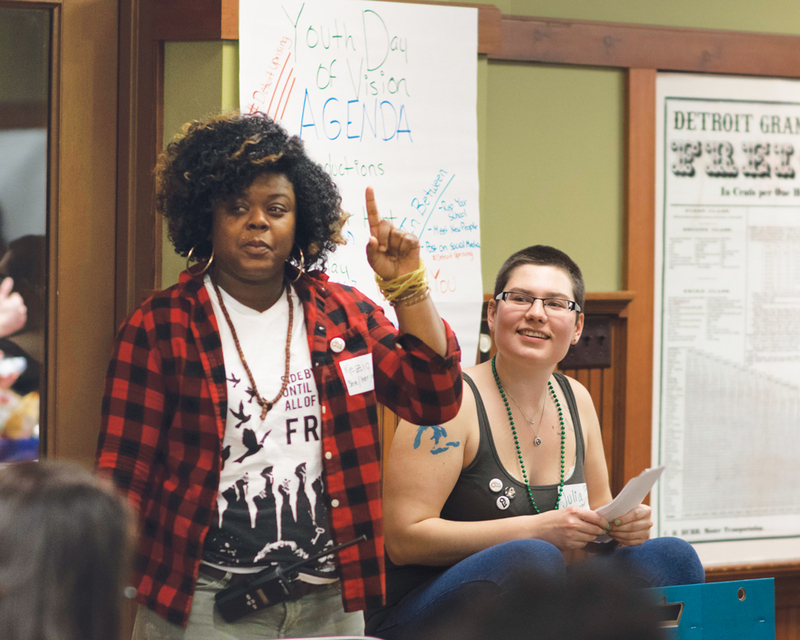 Three cultural organizations — the Detroit Historical Society, the Detroit Public Library, and Michigan Science Center — co-host a youth-driven, Detroit 67 focused event in celebration of Arise Detroit’s annual project. In this joint exhibition with the Detroit 67 project, MOCAD examines the legacy of the unrest, music status, and using the context of contemporary art with contemporary artists. It will feature the Electrifying Mojo, “The Scene” dance TV show, and more. Presented by New Detroit, this year’s annual workshop/training for youth examines the history of July 1967.